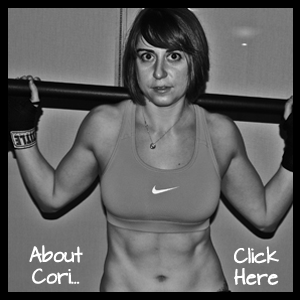 Cori seems to think that I can shed some light on how to teach your kids good eating habits. I’m laughing because all I can remember are all the “bad” things I did. I let them get snacks from the vending machine at the tennis club. I swore I would never do that. When they were preschoolers I would put them in the nursery at the tennis club while I played. It was there that they discovered the vending machine. They were not to be denied. They were fascinated with picking their snack, putting in the money, punching in the numbers or letters (make sure you make use of a little teaching time here) and watching their snack drop down. I tried to control the damage by steering them to the “healthier” snacks. They usually had animal cookies or some kind of cracker. Drew was tough – she loved potato chips – but we didn’t make a regular habit of them. For their birthdays we would each have an ice cream sandwich for breakfast. The birthday girl’s ice cream was replete with candle and song. By the way, that didn’t replace the birthday cake at dinner. More candles and more singing. During the summer we would occasionally forgo lunch and hit a famous St. Louis ice cream stand. Our huge ice cream concoction would be our lunch. I remember a period where we had popcorn and soda every Friday after school while we watched a certain TV show. And then we had dessert every night at dinner. Bad for you dessert – cookies, cakes, brownies, ice cream. But we rarely overindulged. We would eat our piece of cake, our 2-3 cookies, our 2 brownies or our bowl of ice cream and we would be finished. We wouldn’t binge on our dessert and keep eating until it was all gone. We would have a little each night. We were in control of our eating. And maybe this was the most important lesson I gave my kids to help develop good eating habits. The ability to control themselves; to control what and how much they ate. I think young children do this naturally. Most of them do not overeat. One day we were at a play group where the host mother set out a full package of cookies for the kids. The children were allowed to help themselves. All of the children, except for one, ate two maybe three cookies at the most. Only one little girl kept eating…and eating. Her mother needed to control her portions. When Cori and Drew were young, I read an article that advised parents to give their children dessert simultaneously with the rest of their meal. The expert claimed that the kids would not eat the dessert exclusively ignoring the rest of their food. I tried it and it was true. Cori and Drew were as interested in the rest of their meal as their dessert. In fact, sometimes when I would ask them what they wanted for dessert, they would choose crackers over something sweet. So if children naturally do not overindulge or seem to be overly interested in sweets, I ask, where do we, as parents, go wrong in teaching good eating habits? Could it be that by denying sweets or other bad foods, we are creating an uncontrollable desire for them? They become that forbidden fruit? When the kids were preschoolers, we would go to a lunch bunch. We would rush from my tennis to this group and, I confess, that when I was lazy I would get us McDonald’s for lunch. One little boy in the group was not allowed to eat fast food. His parents forbid it because it was not healthy. This child would, quite literally, attack my girls, grabbing their McDonald’s and gobbling down the fries. He was ravenous for that forbidden fruit. In college I found that my friends who never ate dessert growing up ate more dessert than those of us who had regularly indulged. I contend that you can teach your children good eating habits by teaching them control and moderation. To me, obesity is the biggest health issue. If you can teach your children to control their binges and cravings and to eat in moderation, then you are teaching them good eating habits. They learn to control what they eat and can choose to eat “healthy” most of the time. By the way, I did do some “good” things. Cori and Drew would often help me grocery shop. We would pick out fruits and vegetables and read labels together. When they were young, we had planned snacks. The kitchen wasn’t a revolving door. We regularly had family meals together. We usually ate breakfast and dinner together and enjoyed hearing stories about each other’s day. We regularly ate healthy meals. Fruits and vegetables were always served along with our protein. I didn’t force them to eat something they didn’t like, but we had an agreement that they would at least taste everything that was being served. So, was I successful in teaching my daughters good eating habits? Cori seems to think so. I can tell you this, both Cori and Drew seem to have a very healthy attitude toward food. So, good luck and bon appétit! Posted on October 30, 2011, in Diet, Man Bicep Mom and tagged 80/20 Rule, children's eating habits, diet. Bookmark the permalink. Leave a comment.